Angela Bell is an Irish artist, currently living and working in Worthing. Having achieved a Masters in Fine Art at the Norwich School of Art and Design she has been working primarily in oil paint. The current body of work consists of small scale oils exploring the themes of origins and belonging. 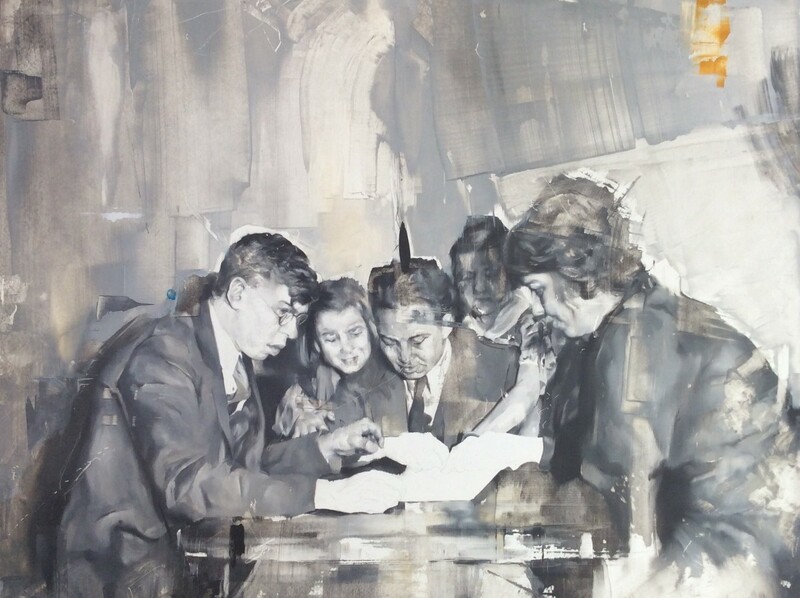 Working from the source material of found photographs that have been discarded, these images have been retrieved and revived in the form of intimate oils. Her painting ‘Gather’ recently won Third Prize in our Jackson’s Open Painting Prize, and she has exhibited her work at the Royal Academy Summer Exhibition, Royal Society of British Artists, Royal Society of Portrait Painters and at Well Hung.